As a coach, mediator, change consultant and learning facilitator, my thinking and understanding come from the education, training and experiences I describe below. I offer it so that you might have a better sense of who I am, even before we start working together. If you like what you read, you should contact me, no matter where in the world you are. The only barriers are time-zones and I navigate them all the time. I adjust to YOUR time zone, not the other way around. I believe that, as humans, we can be fulfilled only through being part of the greater whole. There is an expression for it in Zulu: Umuntu Ngumuntu Ngabantu. Nowadays abbreviated to ‘Ubuntu’. This concept of mutuality is embedded in the work I do. It means that I am with you as companion and guide, and that I respect your right and power to make your own decisions. I support; I don’t take over. I’ll help you work out how to change whatever you want to change and will be in your corner while you do. And, our work takes into consideration the context of the ‘greater whole’ – the people in the communities in your life. “By working with Delphine, I have re-discovered my intuition about perceiving others’ feelings and perspectives, at work, at home and at school. This knowledge and confidence have improved my relationships with family, friends and colleagues.” – Bill McGregor (2017) – a client. “Delphine has put me through an exciting and stimulating mentoring program and exposed me to new and innovating thinking. She is an engaging coach and created a forum for lively and enthusiastic discussion. I would highly recommend her expertise and service and have seen few who can consistently deliver the quality of work she does”. Hassan Dewji, Director Human Resources, METL. “INVESTMENT WORTH THE MONEY” – Juerg Fluehmann, Managing Director, Holcim Ltd: Tanga Cement Company Ltd. I am a nature lover. My heart is either in the forests and lakes of Nova Scotia or the dusty bushveld of South Africa. It is one of my life’s delights to witness the lives of wild animals and plants in their natural habitat, and to share the experience with my loved ones. 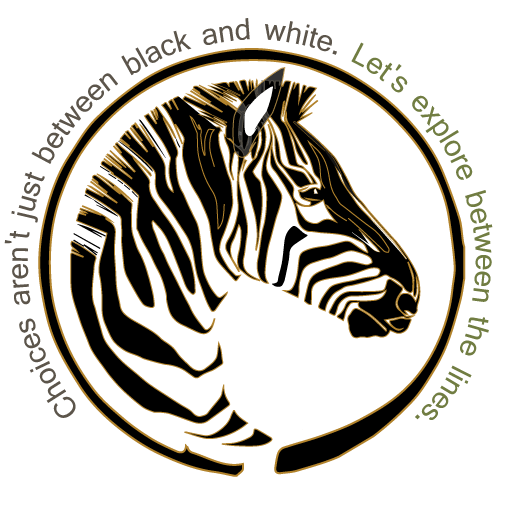 So what about that zebra in my logo? Zebras are to me a symbol of the work I do. 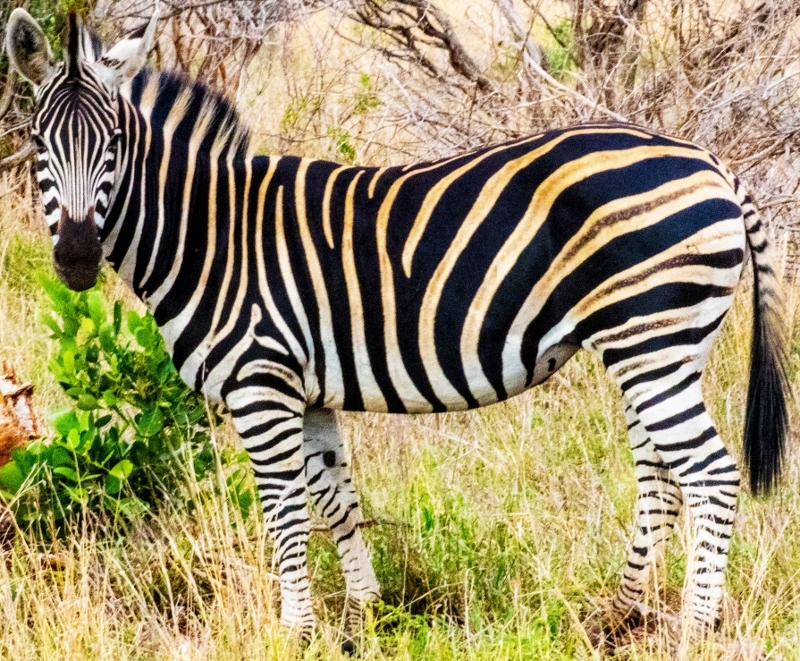 Did you know that the Plains Zebra of Southern Africa isn’t just black and white? Hidden in the white is a sandy coloured shadow stripe. It followings the same contours as the dominant black/white stripes in such an elegant mimicry of the obvious that often new visitors to Africa don’t even notice it until it is pointed out to them. The work I do with you is represented by the zebra’s shadow stripe. Once I help you to see what’s in the shadows you discover that the solutions are also there, waiting for you to find them. I work as your tour guide on this zebra-influenced journey. Let me help you to break out of the black and white repetitive patterns of your life that stop you from changing the things you want to change. Once you have an eye for what’s in the shadows it it’s amazing how you never saw it before. Awareness is the first step. After that the possibilities are everywhere. shadow stripes of your life and then to support you in creating your best solutions. DOWNLOAD A PDF OF MY BIO RIGHT HERE.